Found this little cup in Morrisons. Paid nearly a fiver but liked it for the size. My little one finds it hard to tilt bottles on her own to get a drink because she has to tilt it that far back where with this being very small she easily gets a sip of water. Had handles too to hold it steady and easy. 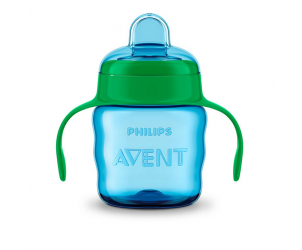 Comes with lid to stop spillages. Pleased I found this. 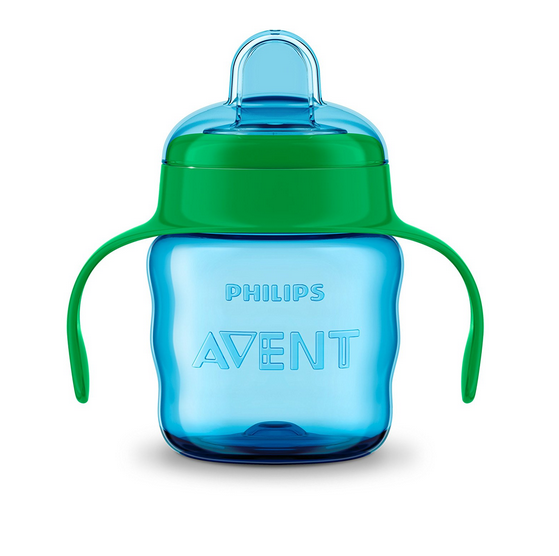 The Philips Avent Spout Cup is a sippy cup with soft spout for comfort and practicality.